Business Planning, the FUN Way. Whether you are a full time entrepreneur, whether you are building up your business in your spare time while holding down another job, or whether your business is a hobby and you plan for it to stay that way, you’ll no doubt have ambitions for growth and success. If you’re busy, perhaps you’re seeing that as a great sign, that things are on the up and that filling your time is the most important thing. 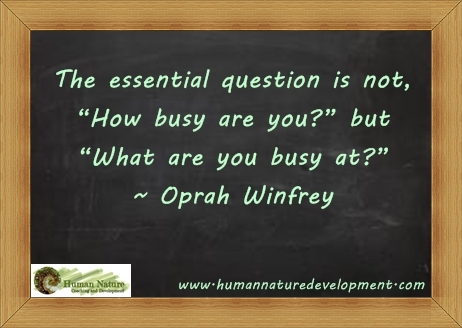 But you need to ask yourself: are you really busy with the right things? It is all too easy to fall into a pattern of working on the day-to-day tasks, especially when there are a lot of them. I’ve been there – so bogged down with the all-encompassing nature of dealing with emails and customer orders and inquiries and deliveries and phone calls and incoming mail and cleaning the premises and…… [deep breath, count to 10]…….. that I’d never felt I had time to work on the longer term plan. To take stock, and really think about how things needed to be. In all honesty, that’s not the best way to be. Sometimes, taking the time to properly plan things out can involve confronting some cold, hard facts. It can be scary. And being buried in the day-to-day tasks is a great way of avoiding that scariness (yes, that old procrastination buddy rears his head). But if you’re prepared to face up to the cold, hard facts, then you can actually work out how to deal with them: how to do things differently from now on, so you can avoid similar scary facts in the future. I don’t really like to talk about ‘business plans’ because it sounds so dry. So much like something your bank manager wants to see before she increases your overdraft facility. I spent 6 months collating data and writing a business plan for one of my previous businesses – I needed a large loan to get it off the ground, so it was a necessity. And it was pretty arduous – I didn’t especially enjoy the process, and some parts of it did seem a little academic, and were only really in there for the bank’s benefit. But planning for the future of your business is absolutely VITAL. At its best though, taking the time to properly plan things out can be the best thing you ever did. It can actually mean clearly defined goals, and a map to navigate towards them. It can mean the difference between stumbling in the dark through the months of next year, and being able to find the light switch, see where you are going, and walk briskly through, avoiding the obstacles in your way. Actually, that long, arduous business plan I wrote ended up being incredible useful. Not only did it help us get the funding we needed, but it made us set realistic targets and goals. Even better, we actually met them. Does your planning need to take months? NO. Does your planning need to be written in a dry, formal way that the bank would like? NO. (Not unless you need to actually present it to the bank, that is). So here’s a 5 step plan to get you on track. The important part of this process is to TAKE TIME OUT OF YOUR NORMAL SCHEDULE. Remove yourself from the day-to-day, and think it through carefully. Seriously, schedule time into your diary where you can actually take this time away from everything else. Behave as you would if you were on vacation for a day or two, set up an autoresponder on your email, have your voicemail pick up the phone, hire a VA for a couple of days: DO WHATEVER YOU NEED TO DO TO ALLOW YOURSELF QUIET TIME. Shut yourself away, take away the temptations of social media or whatever suddenly-really-apparently-important opportunity has sprung up. Focus, focus, focus. Take stock of the year that’s gone. Even the rubbish bits. ESPECIALLY the rubbish bits. Confront those cold, hard facts like you’ve never confronted them before. Work out what you can learn from it. Was it as bad as you thought? Maybe it was worse. Whatever actually happened is important, because there is always something you can take from it to move you forwards in a more positive way. But even if it was bad, it’s done and gone now – you are moving forwards and away from it, so it’s safe to examine it. Set goals for income for the year to come (yes, really, do that!) Be as specific as you can, go through month by month. Consider how you want your business to look. Be realistic, of course – there’s no point writing down that you want to make $1M in January if your current annual turnover is only $500 and you don’t have a serious, realistic plan to increase it. But do plan for growth if growth is what you want. Work out what steps you need to take to get there. This can be a time consuming one, but get creative. This is where your ideas for new products or programs, those mad ideas that pop into your head in the shower or on the train, come into play. Fiddle with figures, brainstorm, scribble notes and ideas down, and then pick the best ones and start to refine them. This is the fun bit! WRITE IT DOWN, or draw it, or make it into posters, or whatever you like. Share it with your nearest and dearest, or with a couple of trusted friends or colleagues. Putting it on paper, and letting other people see it, makes it real. And when it’s done, go back to it. Look at it, again and again. Change it up if you need to. If you aren’t hitting targets, work out why. Course correct. That’s ok. Remember, if you work for yourself, no one can fire you even if you make mistakes. This is just what I’m doing over the next few days. I’m working in chunks of time rather than all at once, but it’s not going to take me 6 months, and unlike my dry, bank-manager-oriented business plan from the past, this is for me. It’s going to speak to me, and fit with my way of doing things. It’s going to be something I enjoy looking at. And I’m really looking forward to it. Creative Entrepreneurs, How To Get 2014 Off to a Rocking Start…. I think the process of planning should be fun, yes. Being completely in touch with your business, and having a really good handle on where you’re going with it, should make you feel great. But, as with so many things, a lot of the time it’s about balance,and perception. So either people totally avoid the difficult stuff (like the cold, hard, facts and figures), and concentrate on just having lots of fun, creative ideas. Or, they get so hung up on the cold hard facts and figures that they forget that it’s ok to have fun and be creative at the same time. I’m sure to many many entrepreneurs, the idea of a ‘business plan’ is rather dry, and only something you do when you have to because someone else wants you to. You get hold of a formal looking template from a business advisor or something, and plod through it until you’re ready to submit it to the person that requires it. They think of it as an academic exercise. In actual fact though, the process can be really fun if you make it so. Own the process, create your way of doing it, and it’s suddenly a powerful tool for moving everything in the right direction, and like I said, it doesn’t have to be dry and boring – if it feels that way, you perhaps need to rethink how you’re doing it!